Our “little company that could” has been featured in Curve Magazine, and we are so pleased. Each of our small-group walking tours is given the utmost care, and a lot of heart. For us, The Blue Walk is a vision and a dream. Our goal is to create memorable, possibly life changing vacations for our guests by providing authentic, life-filled experiences in Europe’s most beautiful locations. That is what travel has been for us. We hope that is what it can be for you. 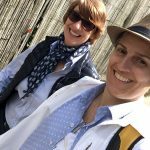 Jeannette Candau and Suzy Schutz’s common interests—food, wine, travel, and the outdoors—led them not only to marriage but to owning the European walking vacations company, The Blue Walk. 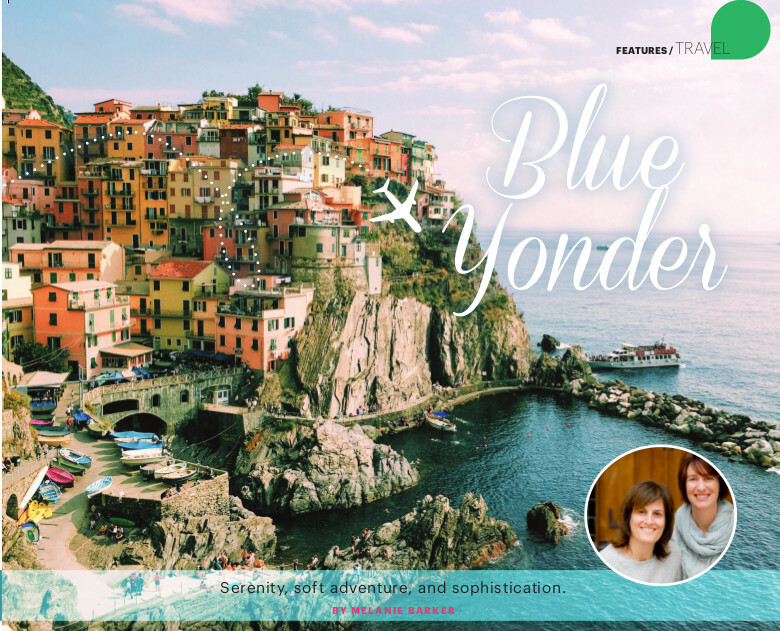 Candau and Schutz enjoy learning about new places and discovering the paths less traveled—and sharing them with like-minded travelers in their guided tours through picturesque regions of France, Italy, Greece, and England. It’s an approach they learned through their own adventures—such as the time they took a wrong turn down a country road in Campania, Italy and ended up lost amid vineyards. A passing farmer gave them directions and invited them to meet his family. “His wife brought out a spread of wonderful cheese and meats, and of course their house-made wine, while we swapped stories of their home and our travels. It was amazing,” says Candau. The tours consist of leisurely strolls or hikes along stunning coastlines, open countryside, down cobblestone streets, through charming village squares, all the while enjoying the great outdoors and local culture. Hiking boots and backpacks are optional, as all routes are “people friendly.” Art, wine, and yoga-themed itineraries are also available. Do they each have a favorite tour? “My first tour was Greece, so it has a special place for me,” says Schutz. “Being out on the ferry, traveling to the islands is magical; peaceful, quiet and pristine.” But she’s equally mesmerized by the charm of Northern Italy, and the beauty of the French Riviera.